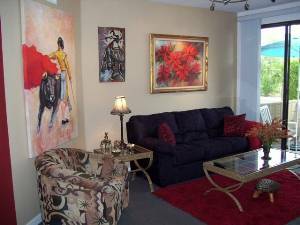 Spend your vacation and relax in our beautifully furnished two bedroom, two bath suite is situated in a spectacular setting .. Ground floor Unit with No Steps .. Main Pool right beside you .. 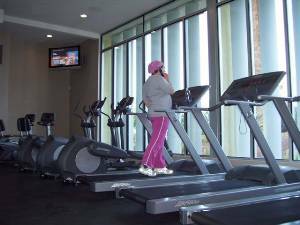 Fitness Center right in front .. 1257 Sq. 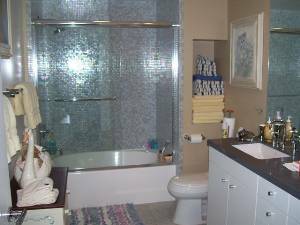 ft. of new Construction, all amenities, stainless steel appliances, designer furnished .. The Biltmore Colony is New Construction, hard to find in Palm Springs.. Minutes to downtown and we are in walking distance to several Restaurants.. The suite is located in the South part of Palm Spring and is in a wind free area, just minutes from the Oasis Water Park, Camelot Adventure Park, with several Restaurants in walking distance .. 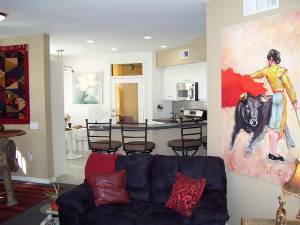 The condo has new furnishings and art on the walls. Also available is a Home Theater surround sound system for your listening and viewing pleasure. No Smoking. 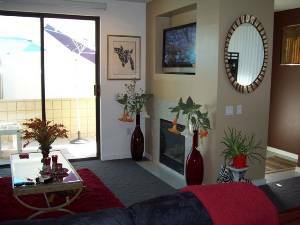 In the evening, you can go to Palm Canyon Drive to have dinner at one of the great sidewalk cafes or bistros, or just BBQ on the condo Patio.. This unit has it All!!! Everything is furnished! Just bring your bathing suit and sun tan lotion!!! 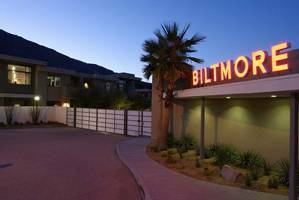 Also contact Rich if you are interested in a Great One BR., Mid-Century condo right across the Street from the Biltmore Colony at the Ocotillo Lodge ... 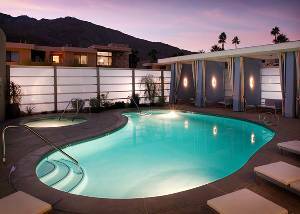 This is a great Mid-Century Condo where the 'rat pack" use to stay .. 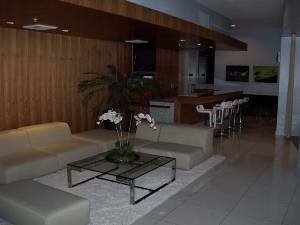 The Marilyn Monroe Suite id the Nicest in the Complex and right beside the Olympic Pool, Spa, and Mountain views from the Private patio ..
Deposit: $200 refundable security deposit.